Originally published in The AU Review. 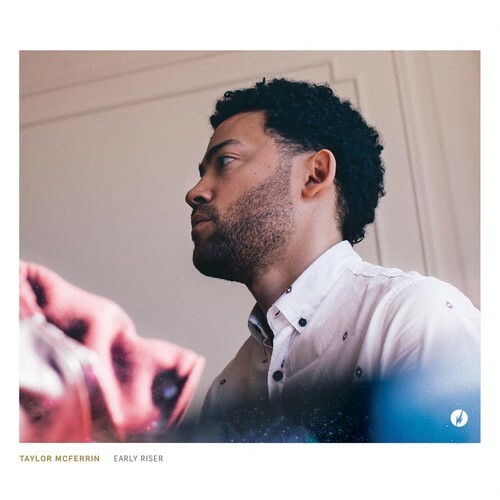 Early Riser – the latest release from Flying Lotus’ Brainfeeder imprint – is a lush showcase of Taylor Mcferrin‘s ardour for soul, left-field electronics and free jazz. Not surprising on a Brainfeeder release is the co-existence of melancholia and urgency, manifesting here in seamless tempo shifts and instrumental layering. Rather than sounding like a fully fleshed concept album, Early Riser sounds more like one big melodic sonic experiment, taking bits and pieces from various modern styles, a technique that is favoured in the Brainfeeder family. I use the term melodic here, because although the experimental elements are undeniable, Early Riser is a lot more ear-friendly and musical than a straightforward sonic experiment like Flylo’s Cosmogramma. Like its title suggests, the album is an ideal soundtrack to an early start, the slow and dreamy build-ups perfect for fragile ears. Imagine hearing Flylo or Thundercat at 6am, yikes! Essentially a soul-jazz record, Mcferrin’s debut LP switches effortlessly from a stable glide into a free fall, yet never really takes off. The regular anti-climaxes reinforce the “experimental” approach here, with some of the tracks lacking range and finality. Although packing some serious production, “Degrees of Light”, “4 am” and “Stepps” end up sounding half-baked, the absence of a lift off positioning them more like rough drafts than finished products. Having said that, nearly every single track is an enjoyable listen, with delicate piano compositions, lush synth arrangements and jazzy percussion. There’s appearances from label-mate Thundercat, Melbourne’s very own Nai Palm and Blue Note’s Robert Glasper. Thundercat and Glasper come together beautifully on “Already There”, a forward-thinking future jazz number and Palm makes “The Antidote” sound like a Hiatus Kaiyote song, complete with cryptic lyrics and backbeats. As a matter of fact, if you heard “4 am” out of context, you’d assume it was Hiatus Kaiyote, as it’s very similar stylistically to their instrumental interludes on Tawk Tomahawk. The weakest track here is “Place in My Heart”, featuring RYAT on vocals. Despite being an interesting vocalist, her pitchy folk tone sounds out of place here, maybe because it’s so unexpected on this kind of album. The melody is annoying and forgettable and the basic guitar chords and washed out electronics take it in more of an indie pop direction, a strange and unwelcome choice here. Despite the confusing “Place in My Heart”, and the few premature tracks discussed above, Early Riser is a beautiful example of contemporary jazz fusion from the Brooklyn-based Mcferrin. Although I will still use ‘Words’ as a portfolio of my professional work, I have created a new blog titled ‘House of Crates,’ which will focus specifically on hip-hop, instrumentals, jazz, future soul and abstract electronica, with various criticisms, interviews and mixtapes.